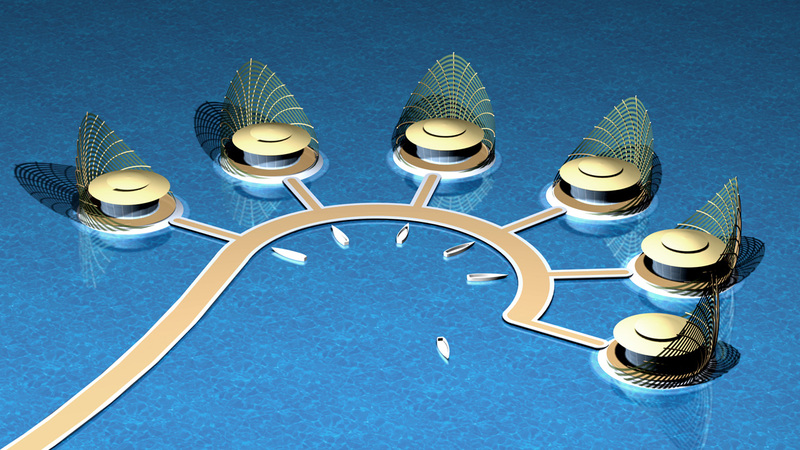 The Frond Village is a new idea for a very exciting floating architecture on the sea. 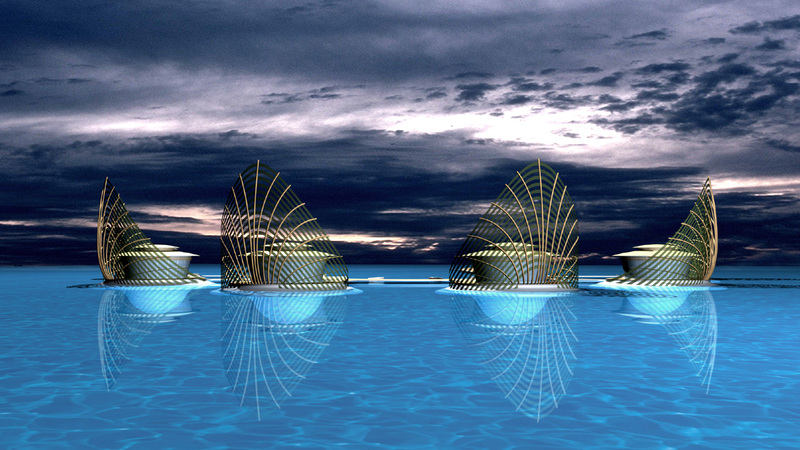 This artificial colony designed by Giancarlo Zema for EcoFloLife is composed of thirty floating dwelling units. 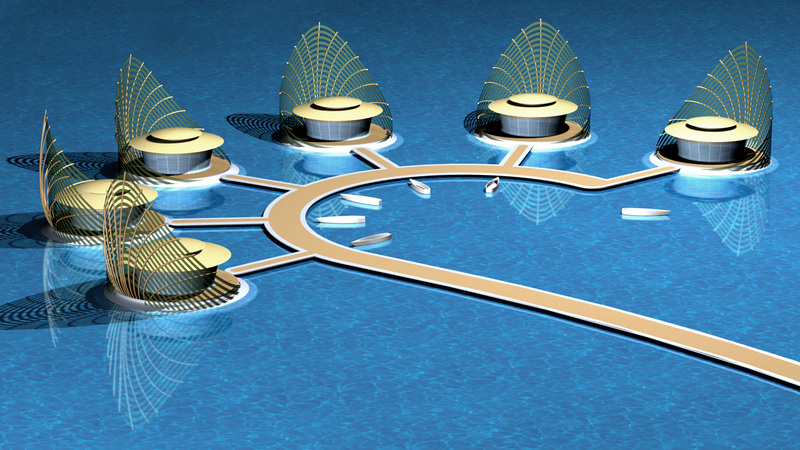 All suites are 70 square metres with a circular structure as a palm leaf. They will be built with hull in steel and superstructure in aluminium. The big leaf on the back side in laminated wood will be sun-moving as a sun flower and make an excellent mechanical sun visor. 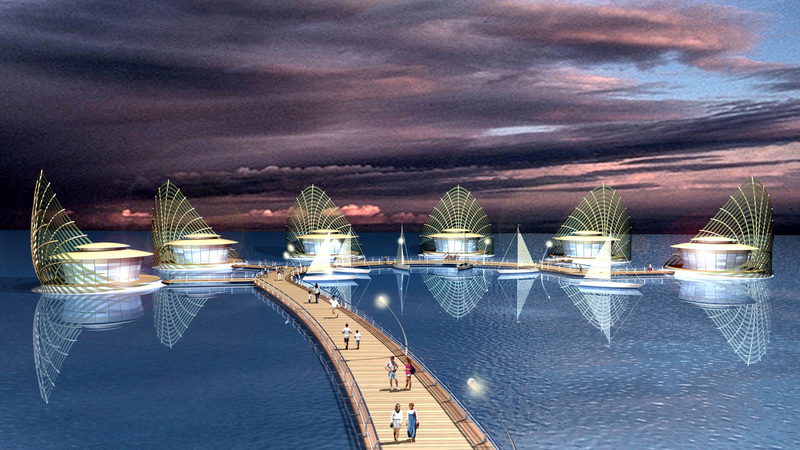 The floor above sea level is for both day and night time with all the services and it allows people to go outside.